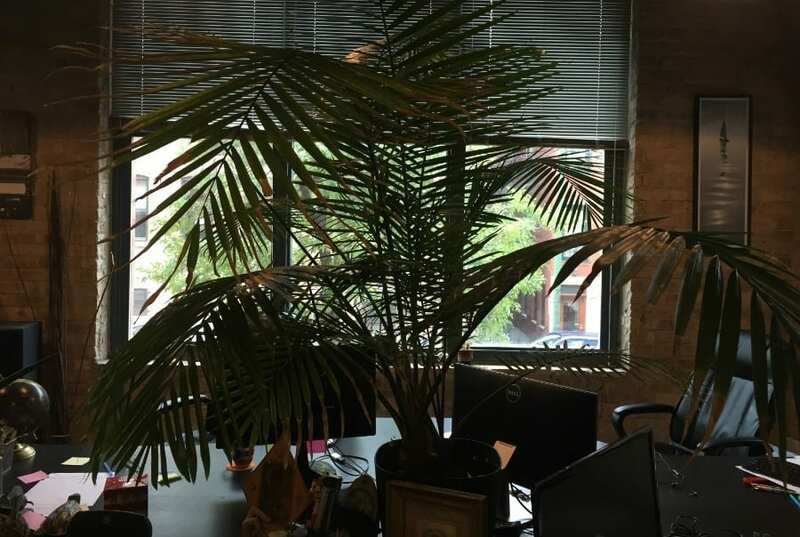 At Comrade Chicago Web Agency, we are surrounded by flora. This serves a dual purpose. First, it keeps our air clean and second, it makes the office feel more like home – allowing us to work in comfort. Every plant in our office has developed a distinct personality. Introducing the most notable plants in the Comrade office. 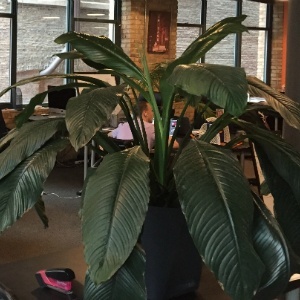 Marjorie, a former member of the marketing team, has the largest leaves of any plant in the office. Unfortunately, she had to be removed from the marketing table. She didn’t like that Madeline and Claire were getting along, so she tried to block all their correspondence, making it difficult for the team to complete tasks. She remains close by, sitting on the bookshelf ready to greet Comrade’s Guests. Illy is a proud member of the design team. She sits and gives her designers, Julia and Norman, shade from the sun and endless design inspiration with her long, slender lines. She even has that typical “artists head tilt” as if she were constantly examining the designers work. She loves getting dressed up for Christmas and seeing her designers complete assignments they are passionate about. Stella is by far the tallest plant in the office. Perhaps that’s because she is involved in the Account Manager’s daily standup meetings. She loves watching her “boys” solve complex problems and skillfully communicate with clients. She also plays a motherly role, keeping the account managers separated from each other when things get heated. Connie, a bit of an outsider, doesn’t belong to any specific Comrade department. Instead, she likes to sit by the windows and ease drop on Ivan’s business phone calls. She also likes to look out and mock any Comrade employees trying to find parking in the morning. While she prefers to stay by the window the majority of the time, she does make an exception for Christmas, where she likes to join the other plants and get decorated. Ben is much smaller than his other plant peers, but he is notable nonetheless. Currently residing with the marketing department, he has made it his mission to make Claire feel right at home. In fact, he should probably move to a table that receives more sun for his growing branches, but he refuses to leave his team behind. The smallest plants in the office, Kennedy, Priscilla and Franklin all hope to be main department plants someday. In the meantime, they enjoy watching the hustle and bustle of the office while they work on growing big and strong. 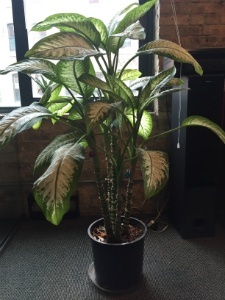 Thank you, Marcin, for being the cargiver of all of our wonderful office plants!